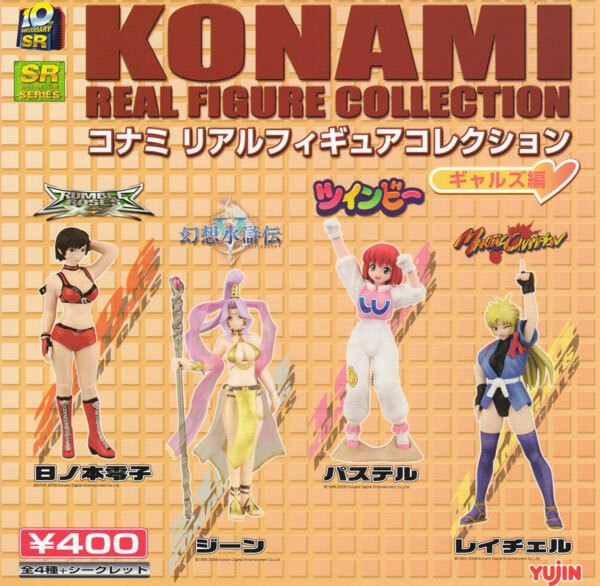 Cutie collaboration bringing four femme fatales from Konami's gaming catalogue into gashapon existence. Four figures to collect along with two mystery secrets for the collectors. Here is Jeanne from Genso Suikoken. The Suikoken series is based on the Chinese classic Water Margin and is a highly regarded RPG amongst the cognoscenti. Brand new. Packed without plastic egg, but sealed in bag.